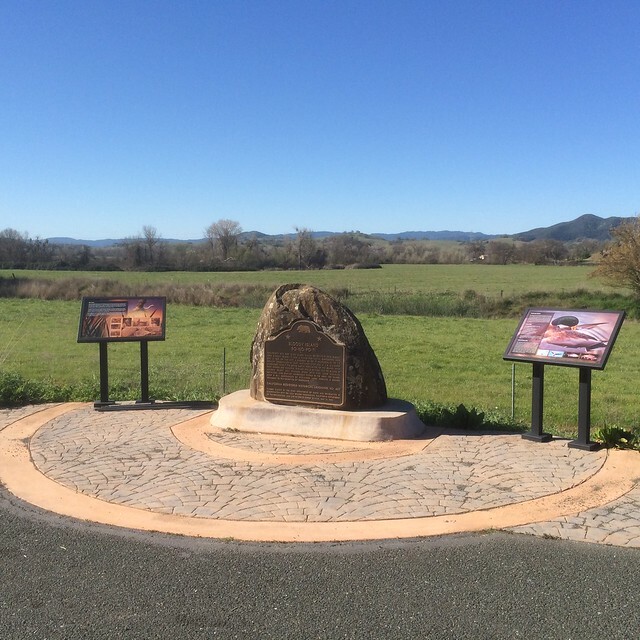 This landmark is located at the intersection of State Highway 20 and Reclamation Road, 1.7 miles southeast of Upper Lake, California. There are 6 other California State Historical Landmarks in Lake County. The GPS coordinates for this location are N 39° 08.978 W 122° 53.287. 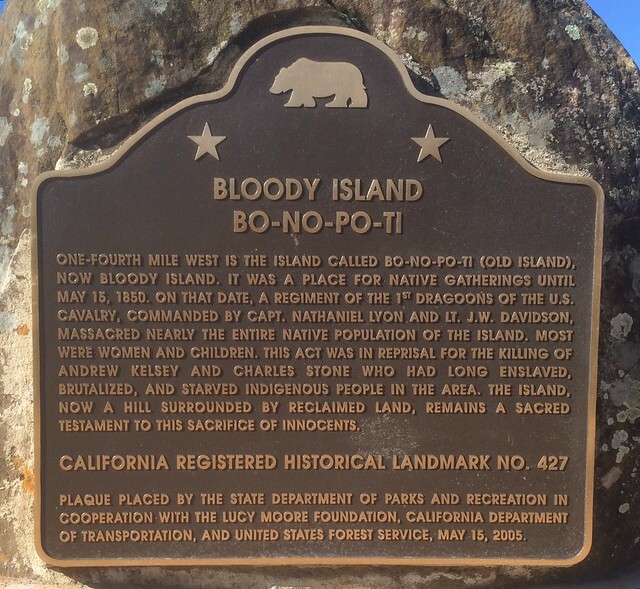 One-fourth mile west is the island called Bo-no-po-ti (Old Island), now Bloody Island. It was a place for native gatherings until May 15, 1850. On that date, a regiment of the 1st Dragoons of the U.S. Cavalry, commanded by Capt. Nathaniel Lyon and Lt. J.W. Davidson, massacred nearly the entire native population of the island. Most were women and children. This act was in reprisal for the killing of Andrew Kelsey and Charles Stone who had long enslaved, brutalized, and starved indigenous people in the area. The island, now a hill surrounded by reclaimed land, remains a sacred testament to this sacrifice of innocents.